When it comes to fashion I always opt for what is most comfortable. I want to feel like I am either wearing my favorite PJs or totally naked. Today I share with you one of my very favorite OOTDs that is both comfy & cute! AND the floral headband looks great with messy hair, my purple locks are rocking third day curls with no brush...Hippie vibes are the most fun. 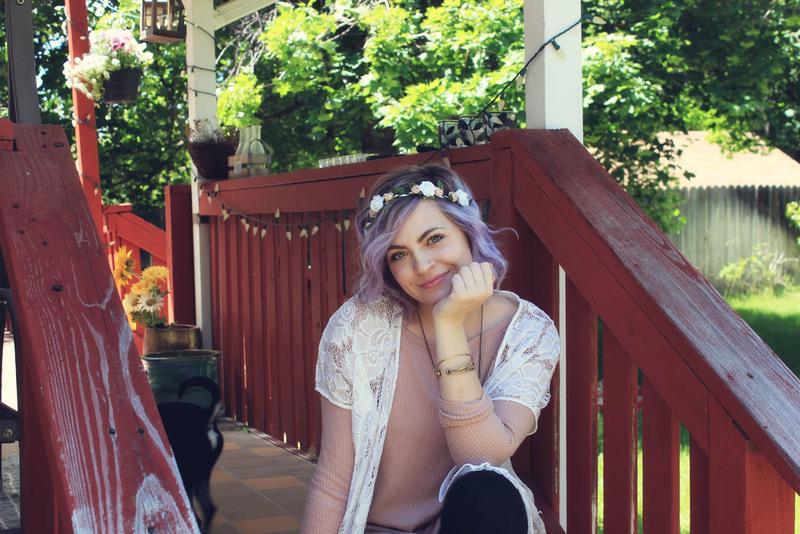 White floral cardigan: Lollabella Boutique - given to me by my sweet roomy! I hope you have fun plans for the extra long weekend! Ive got more moving, more shopping, & a stop by my sweet grandmas grave planned.